Over 1300 personages from the published records of His travels. Each entry, where possible, will include full name, dates, occupation, education, writings, where and when they met the Master and if Bahá’ís, their service to the Faith. They range from notables such as Theodore Roosevelt and the Ranee of Sarawak to Wilbur the butler and the governess Madame Bricka. Notes will indicate in which publication they were recorded. Also included will be those people whom He mentioned in the talks He gave in the West. 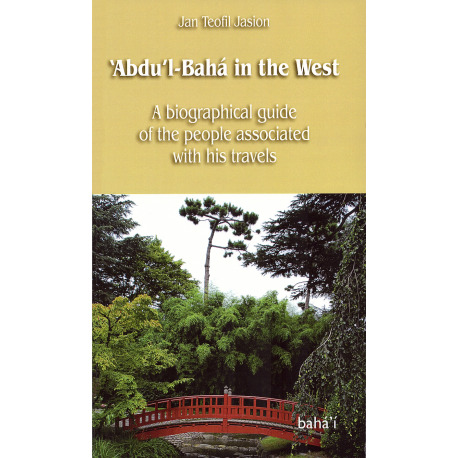 The aim of this historically important venture is to present to Bahá’ís and to non-Bahá’ís the wonder that was ‘Abdu’l-Bahá in a readable, informative and well-documented format. The project is under the direction of Mr. Jan T. Jasion, MA, an internationally respected author and editor. The publication date is planned for August 2011. It is estimated that each book will be of approximately 300 pages. All three titles will also be made available in French.